In 1870, a scant five years after the “Unpleasantries Between the States” the course of the history of Piedmont, Alabama, my hometown took a decided turn for the worse. Until a little after midnight on the 21st of July, it appeared that the little village was destined for bigger and better things. Now, back in those days it wasn’t called Piedmont. Apparently, folks roundabout the area couldn’t reach a firm decision on a name, and as a result it was changed more often than a Southern Belle’s love interest. Originally, the area nestled on the plains beneath Dugger Mountain was called Hollow Stump. That’s an interesting name for a village. I can hear you thinking that now. The name sprang from the fact that postal deliveries for the little settlement were left in a hollow stump down at the crossroads. Sometime after that, for reasons I haven’t been able to unearth, the name was changed to Griffen’s Creek. That brings us up to 1848 when Major Jacob Forney Dailey came down from North Carolina and, taking advantage of the Great Indian Removal, bought some land in the area. Maj Daily apparently didn’t care for Griffen’s Creek and in light of the fact that the village was situated at the crossroads of two post roads, changed the name to Cross Plains. He managed to get an official post office with that name established in September of 1851. By the time 1870 had rolled around, the name had mysteriously been changed to Patona. I can’t help wondering how that name came about. Patona is Spanish for “large-footed” or “club-footed”. Nevertheless, Patona was well on the way to being developed into an industrial gem. One night of ignorance and hatred changed all that while most folks in that area slept in their beds. 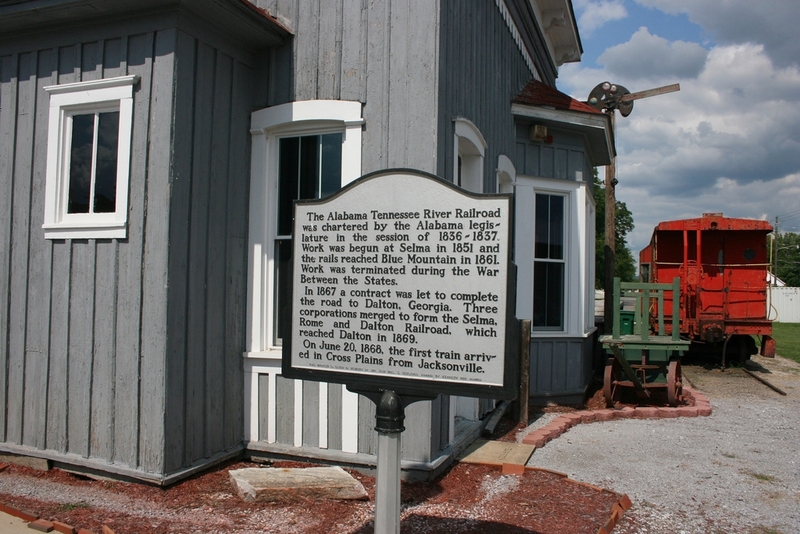 A brawl at the railroad depot escalated to torches, white robes and the lynching of seven men. Now, hold on a minute and let me back up a bit. An Irishman, William Luke, from Canada was hired by the Selma, Rome, and Dalton railroad to come down to Patona to teach at Talladega College. Shortly after his arrival he opened a school for black railroad workers. 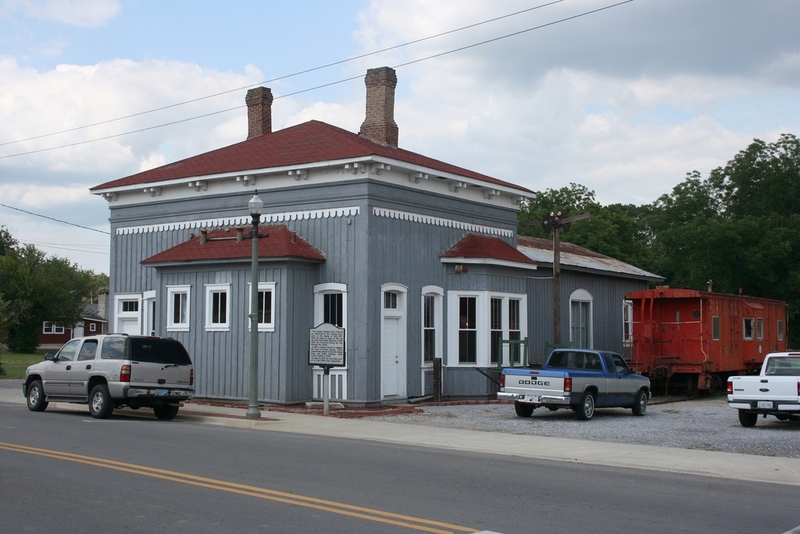 That school was financed by the Selma, Rome, and Dalton which later became Southern Railway. A group of New York tycoons got off the train at Patona Station and stated their intention of locating their headquarters there. One of those financiers was none other than Franklin Hughes Delano. He was president of the railroad and his nephew went on to become our thirty-second President, Franklin Delano Roosevelt. The railroad men saw Patona as a cheap source of labor, and Reverend Luke came along to help it happen. In less than a year, all hell broke loose. It was alleged that the good Reverend was selling pistols to the black men and the white citizens weren’t about to be putting up with that. They confronted him in the depot and a fist fight broke out. Then the shooting started. Evidently, none of the men present were “worth their powder” because when the smoke cleared, not one man was dead. That dispensed with, the five men were sent to their destiny and they were left to twist in the warm breeze with only the stars to grieve their passing. The letter was found, slid under a splinter on a log fence. In conclusion, the Times reported, “On Monday night, a party of armed men took them from the Sheriff and hung them by the road-side. … Luke was given time to say his prayers, and a letter was written to his wife, which was found sticking on a post near where he was hung. The bodies were still hanging at noon yesterday. Everything was reported as quiet at the Plains”. It’s worth noting that no one was ever prosecuted for the five murders. Franklin Delano and his group decided Patona might not be the place they wanted to headquarter their railroad after all. They took a vote and left Patona to twist in the wind as the Klansmen had done just a few nights earlier. Things are far different, thank God, in my hometown now. I’d like to say racism and all forms of bigotry are things of the past. I reckon that’ll never be. But, I am grateful to have lived to see the Civil Rights Movement and the progress made by our black friends and neighbors. I can’t help wondering what life would be like now in Piedmont had a few black-hearted men been able to control their hatred and racism. This entry was posted in Random Musings and tagged Alabama, bigotry, Hatred, northeast alabama, Piedmont, random thoughts, writing. Bookmark the permalink. Extraordinary times. I wonder what became of Mrs Luke and her six children. Bless her heart, can you imagine a woman left alone in 1870 to raise six kids? It makes you feel for the lady left to raise 6 kids alone in those days. It would have been very hard to do even in 1950’s & 60’s. I don’t know how I could have done that of course a Mother will do whatever it takes. That had to be an awful time to have lived thru anywhere. It’s heartbreaking. She, no doubt, had a rough time of it. I’d be willing to bet though, that she had a pretty good network of support both from family and from the Methodist Church. I’m thinking more about the families of the black men who were hanged. They had no recourse in those days but to endure whatever injustice and cruelty the white man wanted to deal them. Their hatred for men whose only difference was circumstance and skin color defies imagination. Too sad about the South in those days and to somewhat, today as well. I spent a goodly chunk of my childhood in Winston-Salem, NC wondering why the Negros had to ride in the back of the bus or why there were ‘coloreds’ only theaters, water fountains and restrooms. My mom, a southern belle far more liberated then than most, tried to explain it to us. She taught my sisters and me tolerance and just how insane those laws were. It was frequently funny to hear her mother talk about the Negroes and how the yardman could only come to the back door for water or pay. As for Mrs. Luke, it might be an interesting research project to find out exactly what happened to her. There are a great many things I miss about the old days, but the racism and segregation are not among them. Even as a very young boy I somehow knew that something wasn’t quite right about our way of life. There is Patona Bay in Indiana. This is probably an Indian word like Talladega, Sylacauga, etc. My ancestors (African-American) lived in this small town at the time of the lynching. I would so much like to find out more about their lives at that time, in that place. I’m trying to learn more about Piedmont’s history. Anything I learn will be posted here, so keep popping round. Thanks for your visit and comment!